With 280 PS the new SEAT Leon Cupra was always going to have decent performance. But was it enough to set a new lap record for production cars at the infamous Nürburgring Nordschleife circuit? Indeed! The previous record for production front-wheel drive cars was set in 2011 by the Renault Sport Megane RS Trophy with a time of 8 m 7.97 seconds. 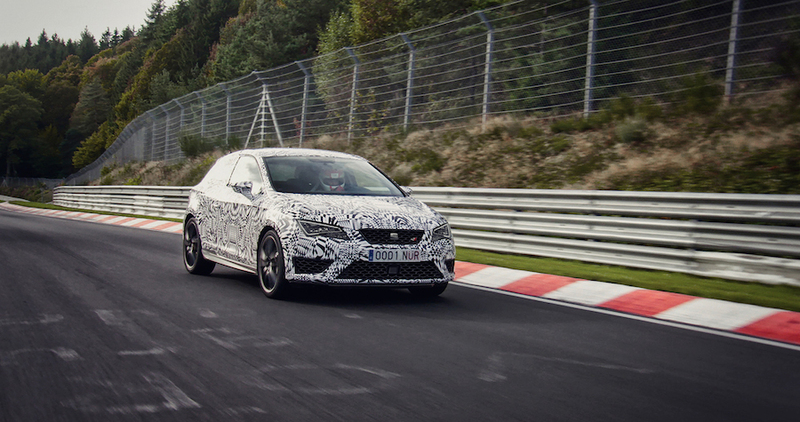 With a record lap of 7 m 58.4 seconds, the Leon Cupra takes quite a significant chunk off the French hatch and establishes itself as the ‘Ring class leader. Crazy Aztec print wrap not on the Cupra options list. To put that into context, recording such a time means averaging 96 mph for the entirety of the 12.9 mile long Nordschleife circuit; including the scary twisty sections and mental Karussell banked corner. 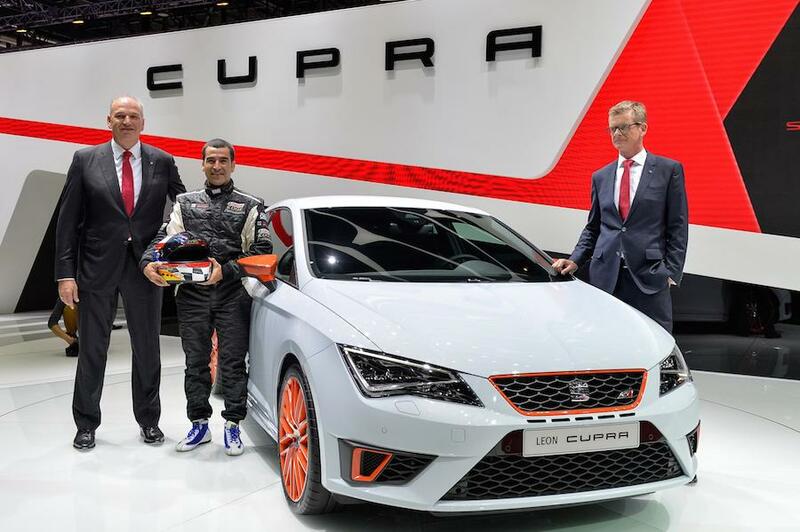 That’s quite an achievement, which SEAT attained using a, relatively, standard production Leon Cupra 280. Along with the DSG dual-clutch gearbox, the record-breaking Cupra featured a previously unreleased ‘Performance Pack’ which includes bigger Brembo brakes, 19″ alloy wheels and Michelin Pilot Sport 2 tyres. Probably the biggest optional extra, however, was fitting Jordi Gené into the driver’s seat. Having competed in the European Touring Car Championships (ETCC) and World Touring Car Championships between 2003 and 2010, as a SEAT factory driver, he’s got talent behind the wheel. Jordi Gené is the one of ‘racing driver’ height, wearing overalls in case you’re unsure. Does this have any relevance to regular road users? First, and foremost, it’s a marketing stunt by SEAT. But one which emphasises just how quick the new Leon Cupra is we suppose. Whether it’ll make any difference to your daily commute on the A19 is minimal, but it’s still a nice reminder for those that buy one that their car will lap the ‘Ring quicker than a Ferrari 360 Challenge Stradale or Caterham R500 Superlight. We already have a high regard for the Leon Cupra; the fact it’s now a record breaker makes us like it even more.